I get out my trusty cherry mold. Lucky for me, I been down this road before. 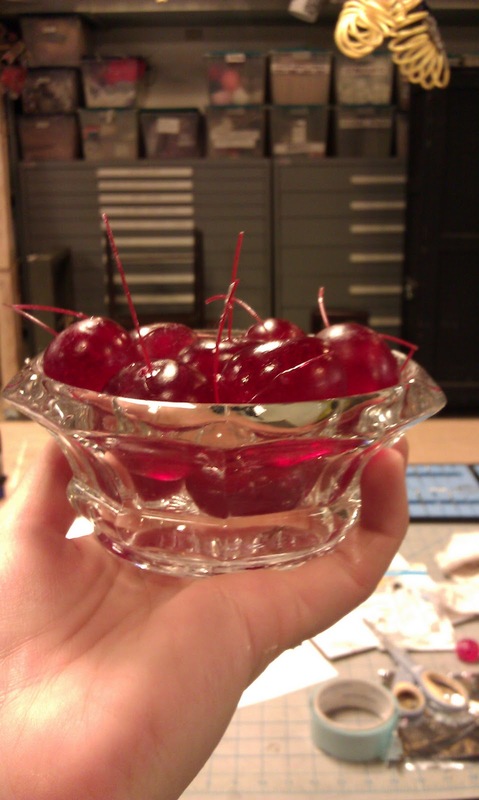 For 'Eurydice', see, I had to make gallons of cherries, so I made me a mold. I get my mold out, and I get some Smooth Cast 320. I grab my So-Strong Pigment, and I pour me some cherries. It takes me a try or two to get the color right. While my cherries are settin' up, I gotta make some stems. The hard part about maraschino cherry stems is the translucency. I get some thick, clear, monofilament, and I get some red spray paint, and I make me some stems. All I got to do now is trim the flashing from my molded cherries, give 'em the old drill hole up top, and glue in those stems. Nice and easy. Put 'em in a bowl, and the subscribers don't know the difference. Just became a follower! Love your blog and tips on food props! I don't, generally, but I'd be happy to walk you through how to make a mold. What would you like to use them for? What would you like to use them for? 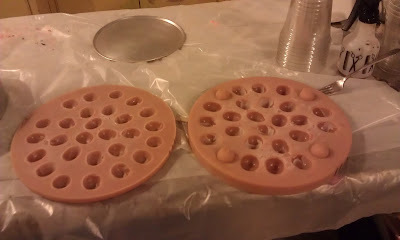 I want to use cherries as garnishes for fake drinks and cocktail I make using polymeric resins. I haven't found commercially available maraschinos -- just the more natural looking ones. I need the "old school" bar-style look. Luxardo maraschinos would be the next step up -- lol! I appreciate your generous offer to help me make them, but at this point I'd rather test their compatibility first with the resin and the curing. If it works out, I could buy more from you. P.S. I'm delighted that you live in Milwaukee. I grew up west of Madison and went to the UW there. You can contact me at the email at my profile. Hey Anna, I am obsessed with faux food and would love to be able to make some money with it. How did you get into this career? 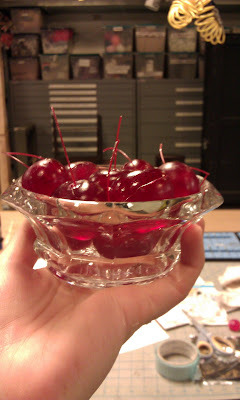 Hi Anna, Is there a walk thru on how to make these cherry mold? Can you do jumbo ones for large martini centerpieces or advise how? Love this for my kitchen!! I am all about fake food to photograph! !